That’s more than double the previous estimate. The cost of fossil fuels is much higher than previously thought, according to a new study by the International Monetary Fund. The global post-tax subsidy for energy, which accounts for the environmental and health toll, will be an estimated $5.3 trillion in 2015, more than 6 percent of global GDP. The figure is more than double the IMF’s own post-tax subsidy analysis just a few years ago. The analysis defines post-tax subsidies as the difference between what the consumer pays for energy and its true cost, including environmental and health damages. It also includes a country’s sales tax rate that the authors said should be levied at the point of consumption. 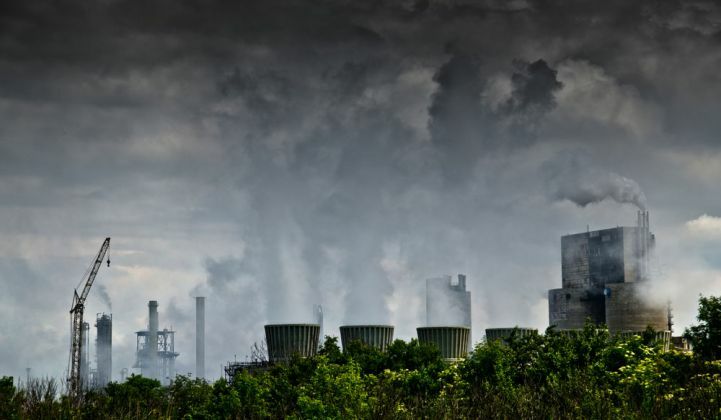 The IMF researchers say the figure is higher than previous estimates because of more refined country-level data on the effects of air pollution and health outcomes of burning fossil fuels. Most of the increase is due to the tracking of a greater range of air pollutants and a more detailed assessment of mortality risks in individual countries. Most of the external costs are felt locally, the authors argue, so any reform would accrue to the local population in the form of benefits such as reduced mortality. Eliminating the subsides altogether could reduce carbon-dioxide emissions by more than 20 percent and cut premature global air pollution deaths by 55 percent. The study's call for reform is strongest with regards to developing Asia and the Middle East. Developing Asia is responsible for about half of global energy subsides, according to the study. 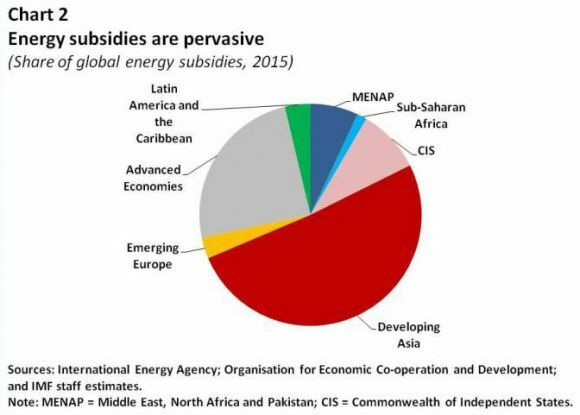 The IMF calls for global coordination on reducing subsidies, but acknowledges that individual countries, such as India, Malaysia, Mexico, Morocco, Thailand and Tunisia, have made strides. From 2011 to 2015, global energy subsides have been cut by $190 billion. 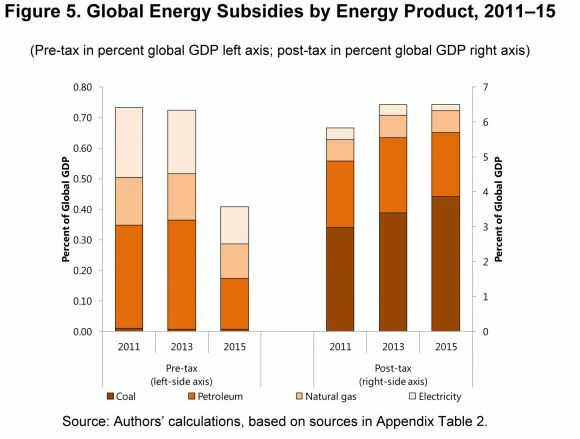 Given current low oil and natural gas prices, it's a good time to start unpacking energy subsidies, the IMF argues. In the short term, environmental taxes could be the most effective. But the politics are messy.